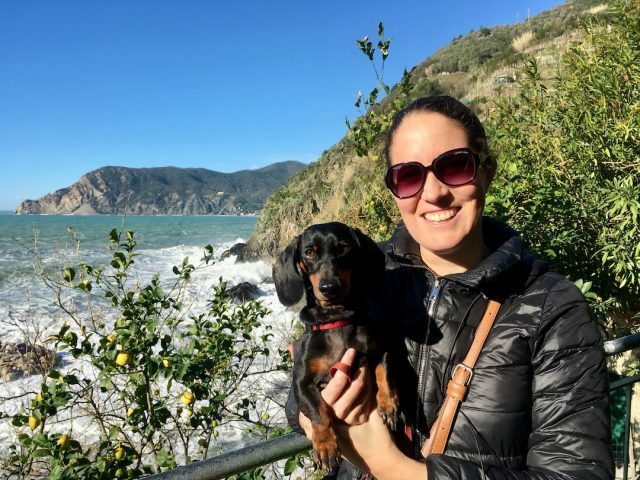 Italy is one of the most dog-friendly countries anywhere in the world! And not just to live, but also for tourists visiting the country. After having travelled to every country in Western Europe with my dog (except for the Vatican City, of all places), I found no other country that allowed dogs into such a variety of sightseeing destinations – even a former royal palace! 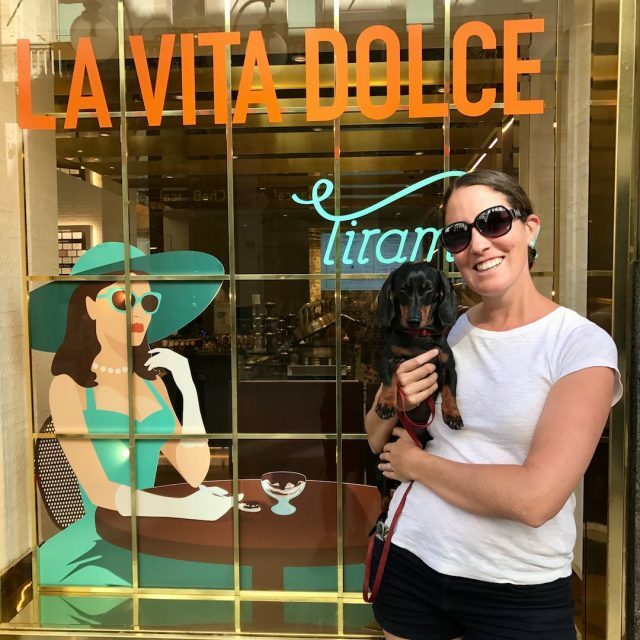 Keep on reading to find some of the best dog-friendly things to do in Italy, while visiting this popular tourist destination with your dog. 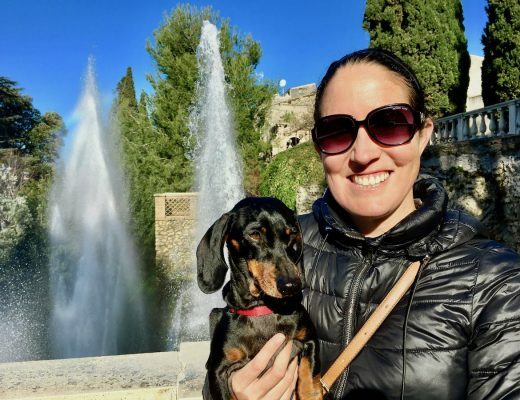 First up, unfortunately one of the most popular destinations in Italy that doesn’t allow dogs (and isn’t a church or museum), is the main archaeological sites in the centre of Rome: the Colosseum, the Palatine Hill and the Forum. And considering there’s stringent security checks, there’s no way to sneak your dog in. 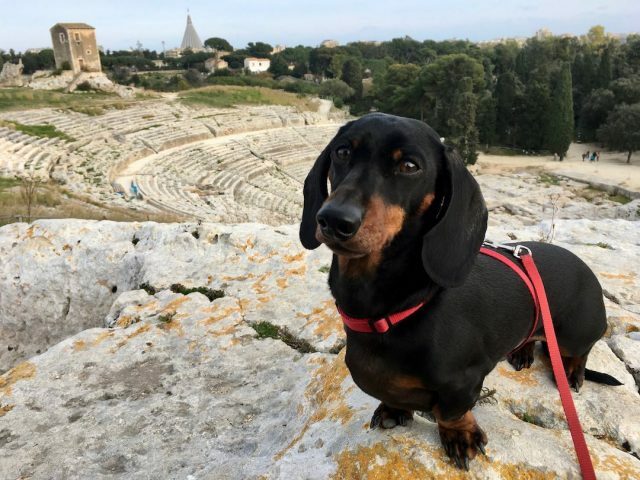 However, they’re just about the only archaeological sites in Italy that don’t allow dogs, apart from some smaller sites such as the Villa Romana del Casale and Taormina Amphitheatre, both in Sicily. Some of the gardens in Italy dating back to the Renaissance period are amongst the most beautiful anywhere in the world. And one of the most magnificent gardens of all is located at the Villa d’Este, in the small town of Tivoli, just to the east of Rome (under 1 hour via train). Here the gardens take advantage of the steep hillside to feature countless fountains and cascades. 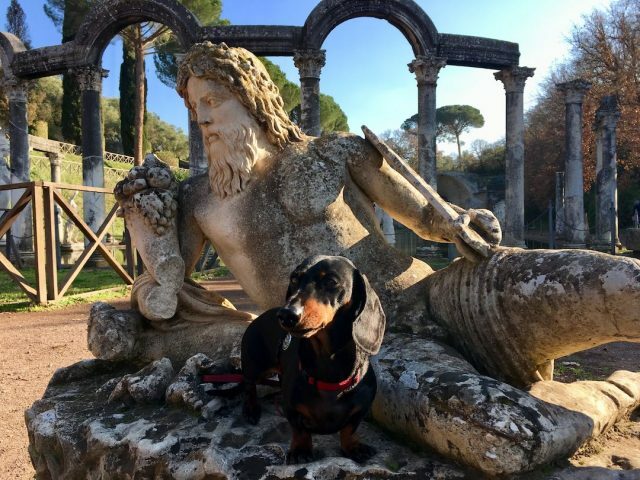 Dogs are not only allowed inside the gardens, as long as they are kept on a leash, but they’re even allowed inside the old Villa d’Este. The walls of the villa are covered with frescoes, many related to the themes of the gardens, although the highlight is undoubtedly the gardens themselves. 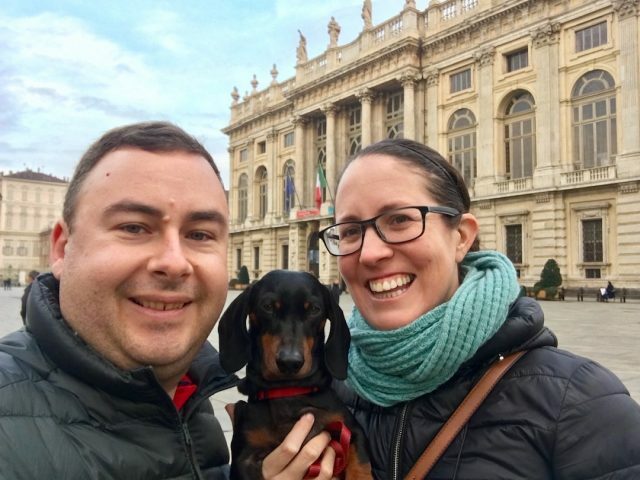 If I had to nominate one place in Italy as the most dog-friendly place of all, it would have to be Turin. In Turin I even came across a couple of small supermarkets that allowed dogs inside! No surprises then that in Turin they also allow dogs in the former royal palace, the Palazzo Reale. Okay, only small dogs are allowed in and they must be in a carrier bag. But that’s a far cry from palaces such as Versailles where dogs aren’t even allowed in the palace gardens! Located not far from the French border, and under the rule of the Savoy family for centuries, Turin has a noticeable French touch compared to other cities in Italy. Don’t also miss wandering the laneways of the historic city centre next to the palace, and visiting some of the amazing food shops. Despite the crowds and expensive accommodation, Venice is still an irresistible destination in Italy. 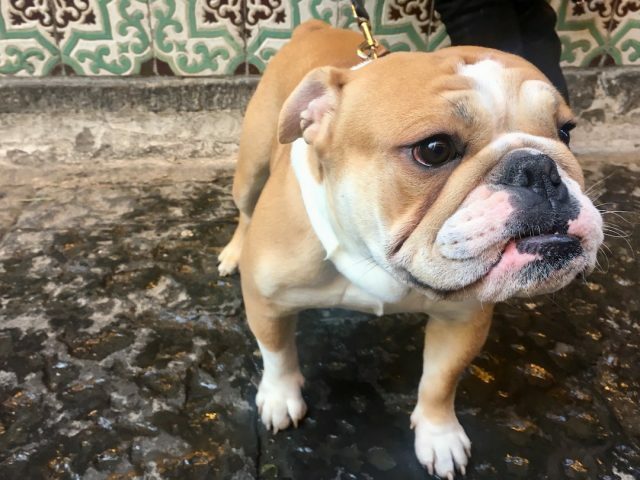 And best of all, if you’re mainly sticking to wandering the laneways and canals, soaking up its charm, your dog will make the perfect travel companion. Your biggest possible issue? Being mistaken as a local and having people speak to you in Italian! 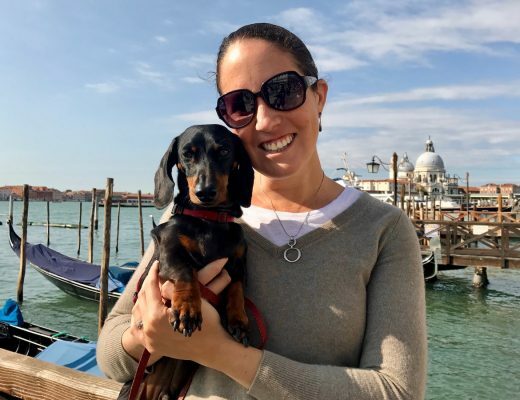 While we didn’t take Schnitzel on a gondola ride, I’m sure dogs would be welcome, as long as you can afford the hiring fee (probably without sharing with other tourists). Dogs are definitely allowed on the vaporettos, the water boats that criss-cross Venice, no extra ticket required. Dogs are expected to be on a leash and muzzled, although generally a muzzle isn’t enforced, at least for smaller dogs. Just be warned that the boats going up the Grand Canal can get very crowded in the late afternoon, so are best avoided. 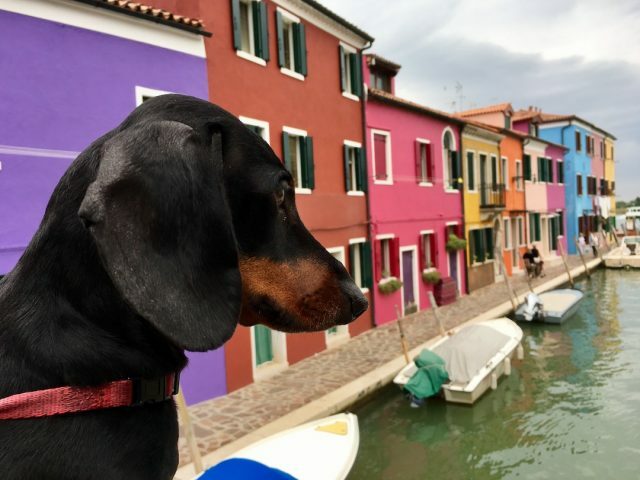 If you’re staying more than a single day in Venice, consider heading out to the island of Burano. This pretty island is best known for its colourful houses, as well as traditional lace work. Ideally buy a 24 hour or longer pass for the vaporetto. (The 24 hour pass costs €20, with unlimited trips, while two single tickets costs €15). 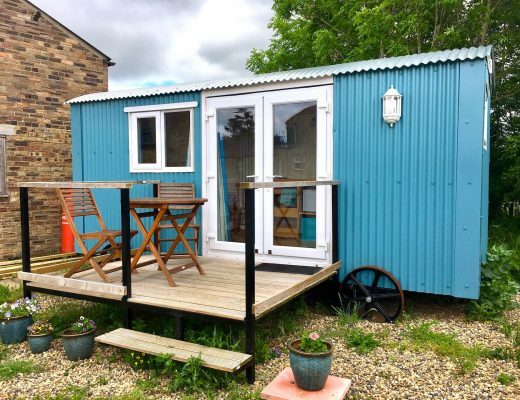 Your dog will appreciate a break from the crowds, plus the grassed areas! The five pretty villages of Cinque Terre and the hiking trails that connect them are becoming increasingly popular. So much so that there are plans in future to limit the number of visitors in summer. 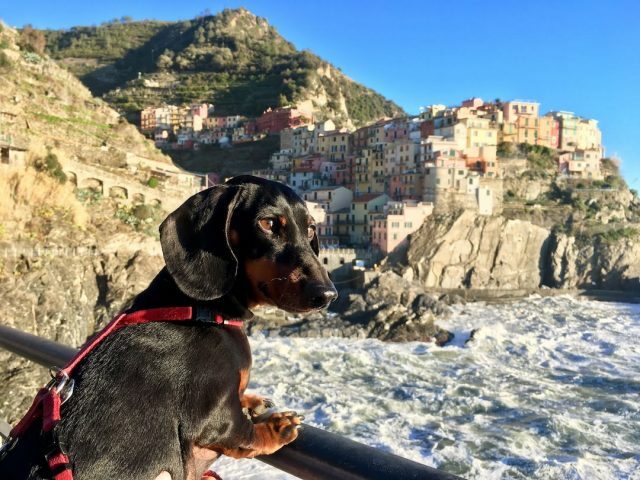 However, visiting in during the winter is a different story, and the ideal time to visit Cinque Terre with your dog. It was a rainy, stormy day when we arrived by train at Manarola in mid-January, and barely any tourists were around. This also meant many of the tourists shops and most of the restaurants were closed. (Luckily our Airbnb host was quick to point out which restaurants in the village were still open.) But the next day dawned bright and sunny, and it was perfect for exploring the coastline with our dog. 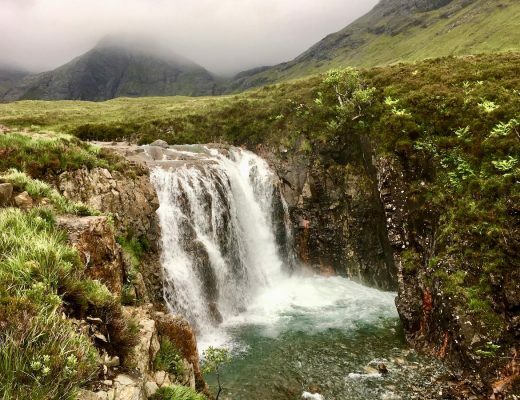 As well as keeping visitor numbers down, the trails between the villages are a lot more pleasant to walk during the cooler days of winter, or cooler periods of spring or fall. 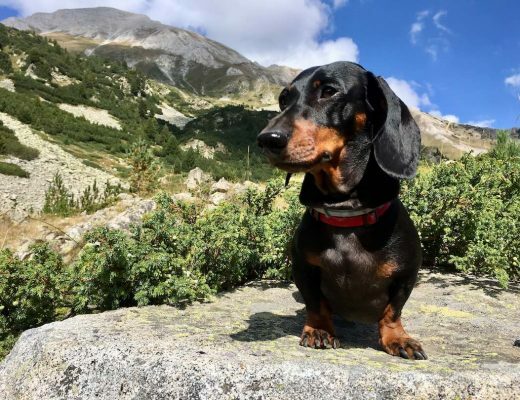 We didn’t do much hiking, as Schnitzel was still recovering from his IVDD and required carrying, but with the steep ascents and rough track underfoot, it was tough enough without the summer heat. If you’re looking for gentler walks, take the 1km Via Dell’Amore walk between Riomaggiore to Manarola (once it re-opens, probably in 2019) or stroll along the paved paths of Monterosso. Not far away from the Cinque Terre, and best accessed from the city of Florence, the hill-top towns of Tuscany have been captivating visitors for centuries. When we visited during winter time, many of the shops and restaurants were closed, the usually tourist-packed streets quiet. But especially when the sun came out, there was no mistaking the beauty of the landscape. The best way to experience these towns is to just wander through their streets. Siena in particular has a beautiful cathedral, but as expected no dogs are allowed inside. 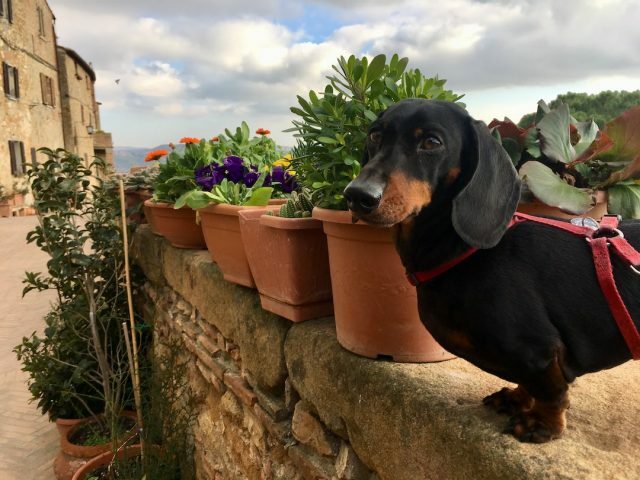 Many accommodation options in Tuscany allow dogs. 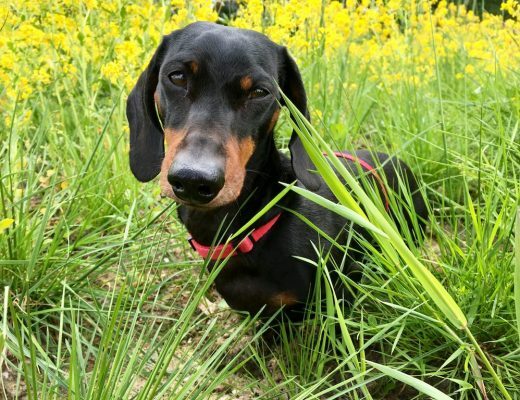 My tip: rather than staying inside one of the towns, it may be better to find a resort or farm-stay out in the countryside, where your dog will have plenty of grass for part of the day. 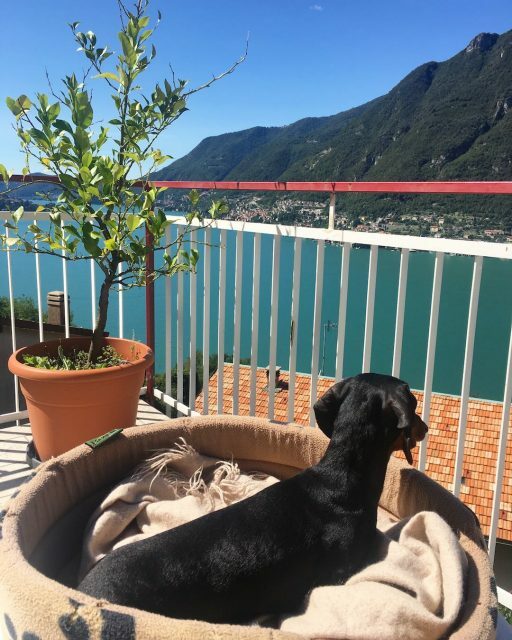 If you’re looking for somewhere relaxing to spend a few days in Italy during the summer, head north to Lake Como and book a dog-friendly villa. Okay, you will have to brave its narrow roads first before you get to relax, but then you can enjoy beautiful vistas like the one pictured above. Try and find somewhere close to a beach if the weather is warm, or just hang out and soak up the scenery. 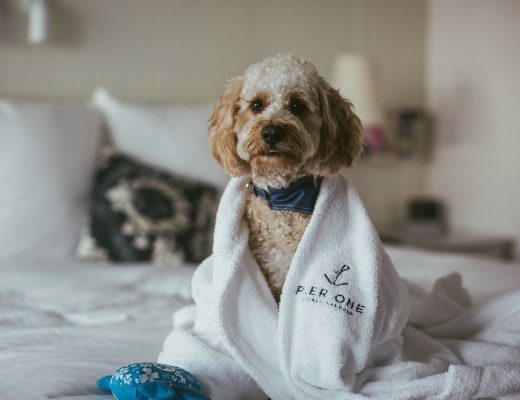 If you want to venture out for the day, visit some of the gorgeous villas and gardens around the lake (many that allow dogs in the gardens), or stop by beautiful Bellagio, at the junction in the lake. The trulli are the unique stone huts with cone-shapped roofs found in Apulia, southern Italy. 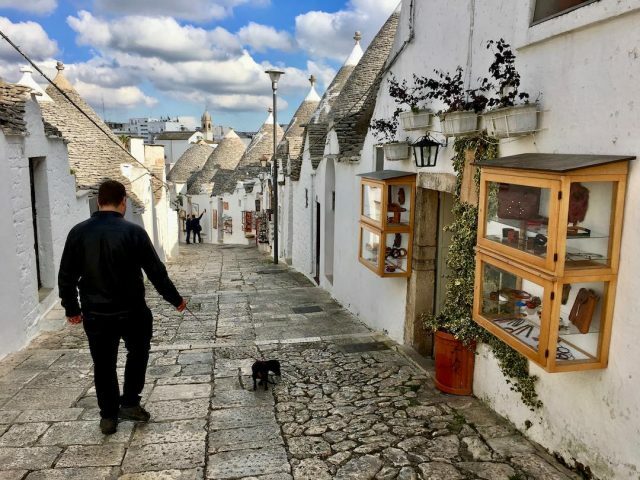 The best place to check out these traditional dwellings is in the UNESCO World Heritage listed town of Alberobello. While many trulli are these days tourist shops, restaurants and B&Bs, there are still plenty that are home to local residents, more so in the Aja Piccola area than the more commercialised Monti quarter. Many of the shop owners welcome visitors to come inside and check out the dwellings (plus hopefully browse their wares), and our dog Schnitzel was always allowed to accompany us. We also visited one home that was open to visitors, where Schnitzel was also welcome, though we had to keep him away from the very comfortable cat! Not far away from Alberobello is the equally charming small city of Matera. Here the traditional homes are also made of stone, but cut out of the hillside, with the name sassi. 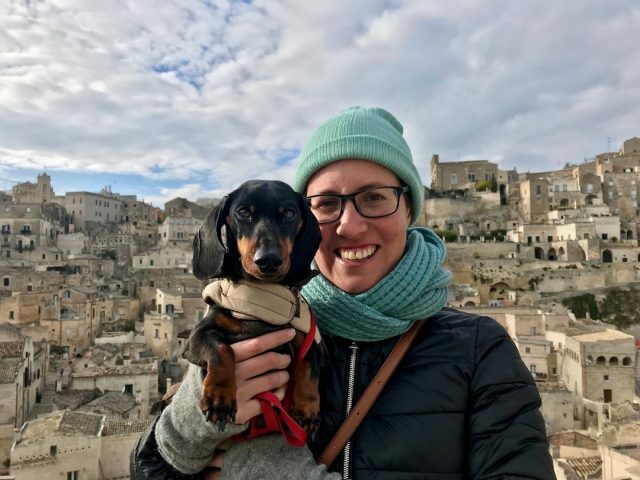 One of the best things to do here is simply wander along the streets and hillsides, with your dog at your side, feeling like you’re in a place far removed from the modern world. We also visited a local museum highlighting the traditional lifestyle of the local people, with plenty of displays of tools and photographs, plus one of the rock-hewn churches. In both, Schnitzel was welcome to join us, though we did carry him. Naples is one of the most vibrant and lively cities in Italy, especially on the laneways of its historic centre. It may look daunting and it’s best to stick to the local transport rather than drive, but once you’ve entered the district it will likely charm you just like it charmed me. Here there’s no need to sit down at a restaurant to dine, with some of the best food available straight on the street. From pizzas to arancini to the lobster-like sfogliatelle and baba au Rhum, do like the locals do and buy what grabs your fancy and eat while strolling along. Naturally, there’s countless dogs out with their owners (although keep a watch for unpleasant surprises underfoot). If you’re wanting a break, stop by the Santa Chiara Monastery complex with its off-leash dog yard, for a play with the local dogs. 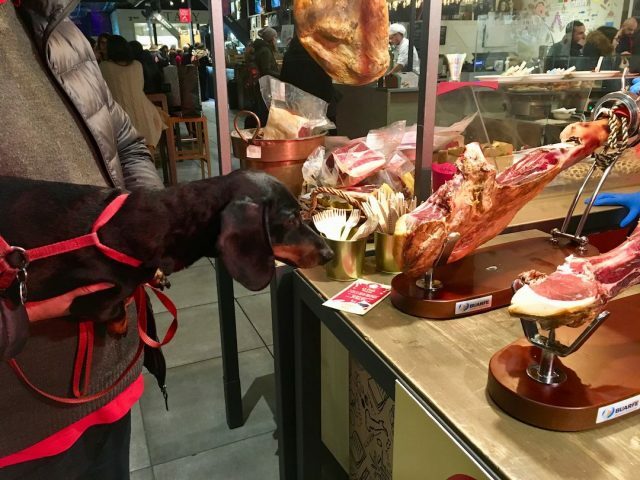 But if you’re wanting to dine out in Italy, you’ll also find that most restaurants allow dogs inside. We only spotted a few “no dogs allowed” signs on the door of restaurants, most often small bars or bakeries. However, always check when entering, and if your dog is large or not the best behaved, there’s plenty of outdoor seats at many restaurants. Another option to consider are the Mercato Centrales in Rome and Florence. These large market halls are like food-courts, with multiple restaurants contained inside, alongside bars and casual seating. Prices aren’t cheaper than in local restaurants, but there’s plenty of variety and dogs are allowed. 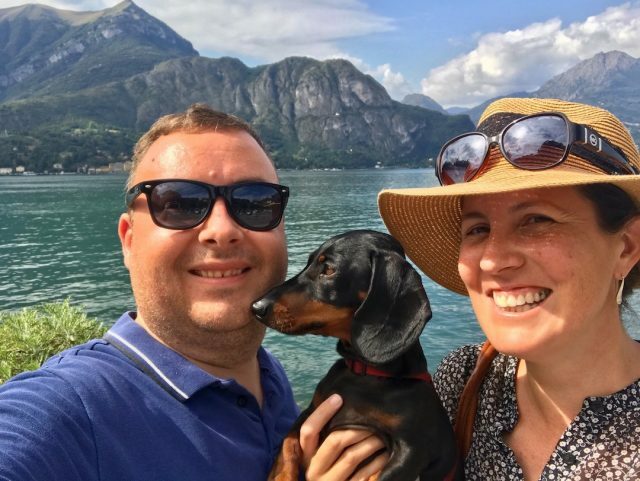 Enjoy your trip to Italy with your dog! Livin’ that “La Vita Dolce”! 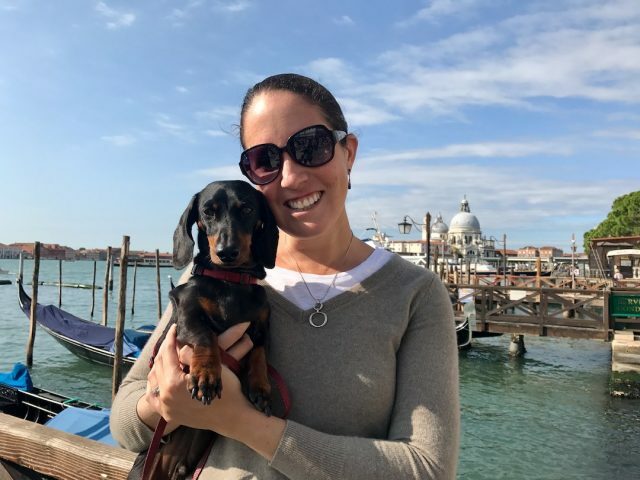 Should I Visit Venice With My Dog? Looks like Schnitzel had a fantastic time! He must be the most well-travelled dog in the world. Amazing how many attractions are open to visiting with a dog. What a fun way to travel. Thanks Margarita! He’s certainly visited more countries than many people! Usually most churches, palaces and museums are out of the question, but many other places allow dogs, it’s just a matter of investigating or asking nicely. Although it will be harer when we return to Australia, particularly as national parks in Australia don’t allow pets. 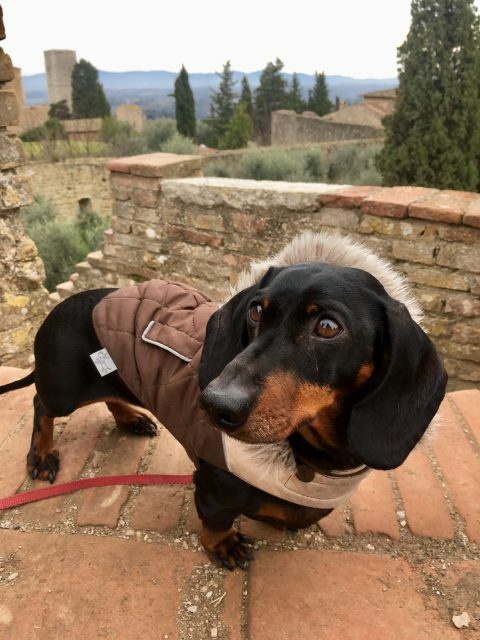 How did you guys travel around Italy with your adorable fur baby? Love to have input because I will be traveling with mine in a few months. Italy is next on my list of places to explore with Louis. Thanks for sharing your insight! Thanks Jenna, have a fabulous time in Italy! I recommend searching on Google (just search for “dog park” regardless of the country, but it’s good to check photos and reviews to make sure it really is a dog park) or else asking your accommodation. 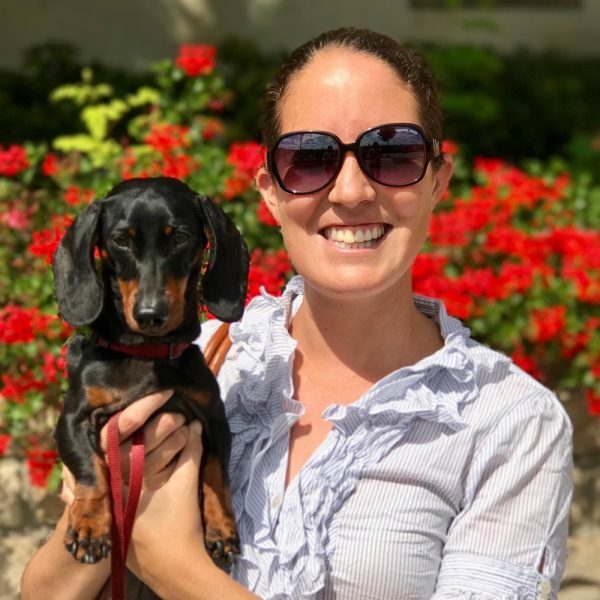 We’re lucky that our little Schnitzel doesn’t need that much exercise (walking on a leash is enough for him), so we didn’t usually search out places, but we came across enclosed parks in many cities. Enjoy your trip! !